When it comes to equipping your workplace with the tools your small business needs to grow, you’ve got to get the basics right. 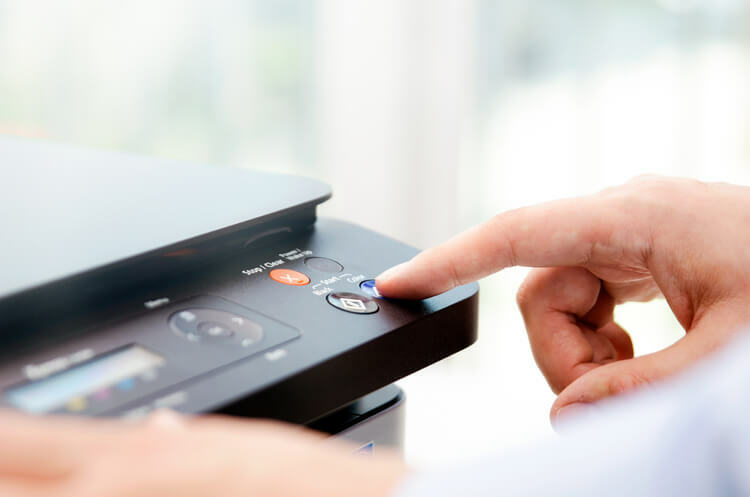 A good printer is an office essential: it can be the difference between having those important documents ready for that big meeting, or languishing in a mountain of jammed paper. A good printer should be multi-functional and indispensable. Like a dreamy package holiday, the printers here are ‘all in one’ solutions. 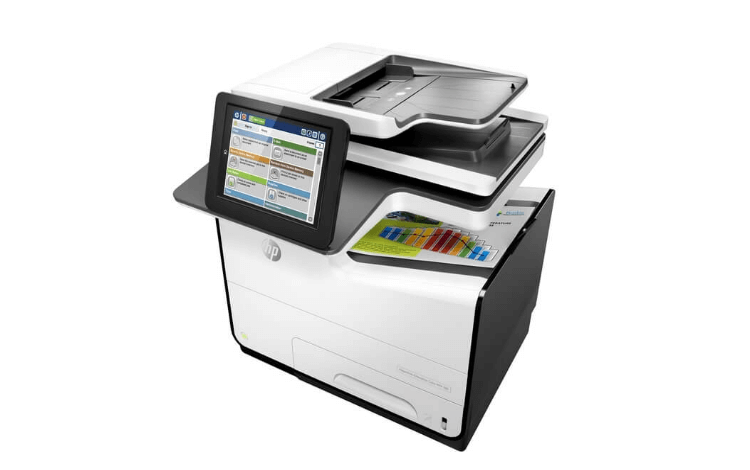 They offer more than printing – they’re scanners, photocopiers, and fax machines all rolled into one. And with lightning-fast print speed, ultimate durability, and a seal of approval from the environment, these printers are simply the best. So if you’re wondering which one best suits the demands of your small business, look no further. Read on for our reviews, top tips and FAQs. Or jump straight in and start comparing quotes by clicking here. We researched the range of all in one printers on the market to find the best options for SMEs. The printers below are feature-rich, reliable solutions, well-suited for the demands of UK businesses. 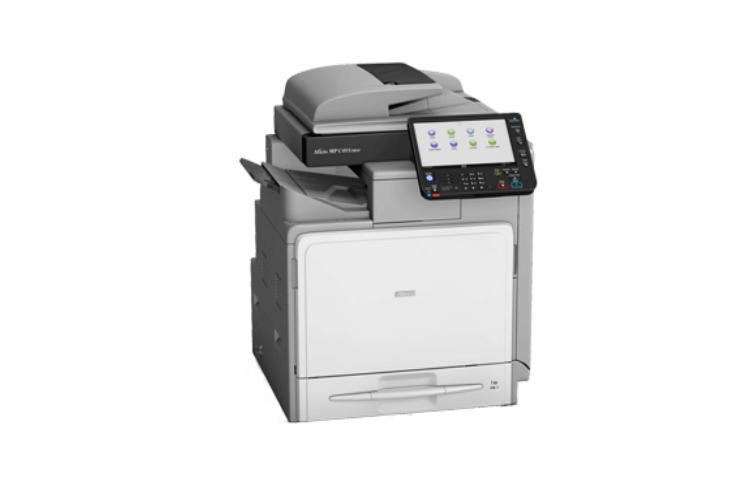 The best all in one printers include RISO ComColor FW 5231, Ricoh MP C401SP, HP PageWide Enterprise 586dn, and Lexmark XM5365. The RISO ComColor FW 5231 is one of the highest speed inkjet printers on the market. If printer queues and paper jams are a common problem in your business, this printer offers an all in one solution. Its low power consumption reduces paper curling and ensures every document comes out looking like it should. It controls ink usage to save you money. And its sublime scanning features make it easy to share important documents with your network. The downside? As with all inkjet printers, it can be pricey to maintain. Pricing is available with enquiry. Does the thought of grappling with your current printer’s interface send a shiver down your spine? The Ricoh MP can help. It offers a flexible operating panel that lets you choose the display your staff are most comfortable with. And it offers a superb touch and swipe interface for ultimate simplicity. So ordering a print job becomes as easy as using your iPhone or tablet. On top of this, its long lifecycle and high durability mean it’s sure to become a staple of your office. Pricing starts from around £1,650. Its name might be a little clunky, but in terms of sheer functionality, it’s anything but. Quick, reliable, and easy to use, the HP PageWide Enterprise is one of the most trusted all in one printers for the workplace. 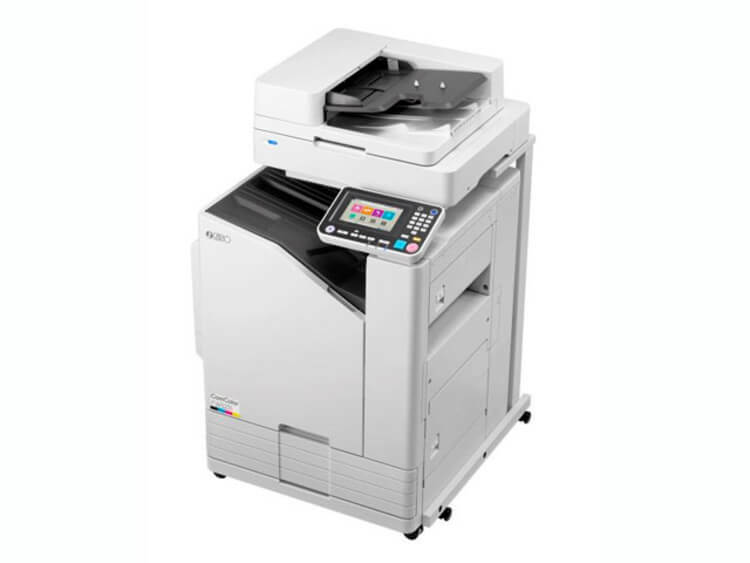 It’s a laser printer ideal for smaller teams of up to 15 people. It also comes with the lowest cost of ownership in its class. Which means, given its high output and low energy consumption, it’s a steal. Pricing starts from around £1,500. The Lexmark XM5365 is a real trooper. Its highly robust paper handling technology makes it our top pick for reliability. 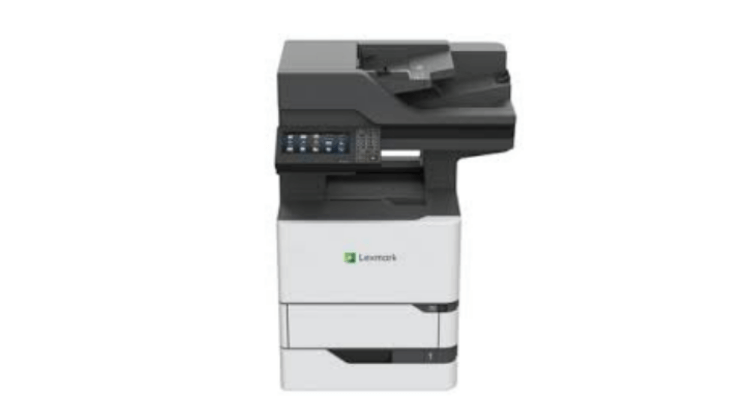 With up to 3,300 sheets of input, you can get more done, and be confident that the Lexmark XM5365 is taking care of the big jobs. Its easy-access structure means you’ll never have to get to the back of the device, so you can place it in a cabinet to maximise your office space. And above all, it’s a certified green option – Lexmark even provides an award-winning cartridge recycling service. You’ve had a whirlwind tour of the four best all in one printers. They’re already making life easier for small businesses all over the UK, and they can do the same for you. So what’s next? Well, there’s no one size fits all blue-print for which machine is best suited for your business. But our webform is a great way to get personalised quotes and compare top suppliers. And it only takes a minute. Try it for free here. We know how much there is to think about when picking an all in one printer for your small business. We’ve jotted down a few things to guide your hand when selecting a multi-functional printer. If waiting isn’t your strong suit, make sure you pick an all in one printer with a quick output. It’ll save time, and, when it comes to big documents, might help preserve your sanity! Your all in one printer needs to be able to keep up with your business’ photocopying and scanning needs. How many documents will you be printing a month? Can your chosen printer keep up? If you’re buying an all in one printer outright, it’s crucial to compare quotes first to get the best deal. For leasing options, see below. Modern all in one printers run on either ink or toner. Ink-based printers are cheaper upfront and provide more versatility, but laser printers are more cost-effective longer term. They’re also better for volume, which makes them great for businesses. All in one printer prices can range from hundreds to tens of thousands of pounds. And if all your cash is going into growing your business, good printers can often be too expensive to buy outright. Luckily, there are options to lease an all in one printer. You pay instalments over the course of a few years, spreading out the overall cost. What is a Managed Print Services contract? It’s what you’ll most likely sign if you decide to lease a printer with a company. It generally involves paying an agreed fee per copy you print, for the duration of the contract. It includes installation and scheduled maintenance to keep your all in one printer in working order. If you’re thinking about leasing a printer or signing a contract like this, check out our handy guide to printer agreements before jumping in. Who takes care of setup and maintenance? Well, you’ll have to organise that yourself if you buy the printer outright. It could be your in-house go-to guy for tech breakdowns, or you could outsource. Many suppliers offer after sales support, and the level of help available is worth finding out before you buy. If you choose a leasing option with a managed print services contract, the company you sign with should take care of everything. Sitting down at a computer and trawling the web for prices, benefits and features might work… eventually. If you’re not as time-rich (or tech-savvy) as you’d like to be, it only takes a minute to fill out our form. Here you’ll find the best all in one printer quotes, all in one place.